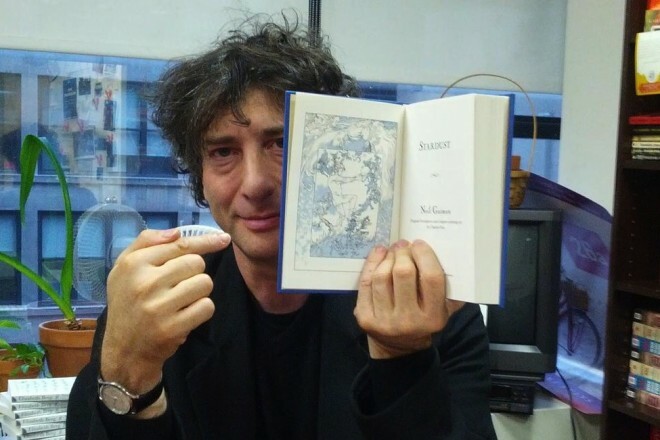 Catch Neil Gaiman on his last ever book-signing tour. Fiction from Julia Fierro is over at Guernica for their End Times week. Did you know that A Wrinkle in Time initially was rejected by two dozen publishers? Ruth Franklin reviews a new book of interviews with Madeleine L’Engle. The lives of taxidermists are strange and wonderful. The first ever recordings of a Christmas family gathering, made as early as 1902, have been restored. Festive!